Vanguard funds are synonymous with buy-and-hold investing because of their outstanding selection of high-quality, low-cost mutual funds and ETFs. These qualities make Vanguard funds ideal investment choices for long-term investors. A few pros and cons exist when it comes to investing in mutual funds from Vanguard, as with any mutual fund company. Choose Vanguard's low-cost index funds to replicate the market (S&P 500, etc.) return. Invest in bond funds for better diversification. Take advantage of funds that invest in international stocks for additional diversification. Need to decide if you're a long-term vs. short-term investor to make the best fund choices. Vanguard's large number of available funds requires you to do some research before selecting the right funds for you. Funds may have minimum investment requirements. Perhaps the only disadvantage you'll find with Vanguard funds is that they have dozens of funds to choose from, so you'll need to spend some time doing research to find the best Vanguard funds for your personal finance needs. The list below can help you get started with your Vanguard fund review, as it narrows the selection of Vanguard funds to the 10 best funds to hold for the long term. Before buying Vanguard funds for the long term, decide whether you're a long-term investor. If you talk with 10 different financial planners or investment advisers, you could get 10 different explanations about what long-term means. Generally, investors with at least 10 years or more before they need to start withdrawing from their investment accounts fall into the long-term investor category. It also generally holds true for bond securities, like long-term bonds and long-term bond funds. So if you're saving money for a vacation next year, you're not a long-term investor, and you should look for the best funds for short-term investments. Retired investors make a common mistake with long-term investing by considering themselves, short-term investors. Although they might be making withdrawals to supplement their retirement income, they may easily have a life expectancy of more than 10 years in retirement. For example, the average life expectancy in the U.S. is about 78 years. If you retire at 65, you still have 13 years to invest. Depending upon your sources of income and your overall financial picture, you'll need to invest at least a portion of your retirement assets in long-term investments, such as stock mutual funds. The best long-term investments for most investors generally consist of stock mutual funds, especially index funds. It doesn't make much sense, though, to invest in stock mutual funds unless an investor has at least three years before starting withdrawals. Index funds also make smart choices for long-term investing. Vanguard's index funds are among the most popular holdings for long-term investors and have attracted such a large amount of investor assets that Vanguard Investments has become the largest mutual fund company in the world. This is because most fund managers for active funds don't beat the major market indexes for periods longer than 10 years. So, rather than trying to beat the market, which is difficult to do consistently over the long run, you may as well invest in funds that match the market at a lower cost. It is the essence of index funds. Now that you know that you're a long-term investor and you know which fund types work best for long-term investing, the following lists the 10 best Vanguard funds to buy and hold for the long term, in no particular order. 1. Vanguard Total Stock Market Index (VTSMX): Vanguard's VTSMX is the largest mutual fund in the world for two primary reasons: It's a diversified stock index fund, and its expenses are extremely low. The portfolio provides exposure to the entire U.S. stock market, which includes small-, mid-, and large-cap stocks. This includes over 3,500 securities. The expenses are only 0.15 percent, or $15 for every $10,000 invested, and the minimum initial investment is $3,000. 2. Vanguard 500 Index (VFINX): This index fund tracks the S&P 500 index, which means it holds about 500 of the largest U.S. stocks. So, with VFINX shareholders will get exposure to stocks like Apple (AAPL), Facebook (FB), Amazon (AMZN), and Alphabet (GOOG, GOOGL), the parent company of Google. VFINX is a smart choice for investors who want to build their own portfolio that includes other stock funds, such as small-, and mid-cap funds. The expense ratio for VFINX is 0.15 percent, and the minimum initial investment is $3,000. 3. Vanguard Total Bond Market Index (VBMFX): Although long-term investing is often associated with stocks, most investors will need to have a portion of their portfolios invested in bonds, and VBMFX is a smart choice for the same reason as most other index funds: they are well-diversified, low-cost investments. The VBMFX portfolio tracks the Bloomberg Barclays Aggregate U.S. Bond Index, which consists of more than 8,000 U.S. bond securities. The expense ratio for VBMFX is 0.15 percent, and the minimum initial investment is $3,000. 4. Vanguard Total International Stock Market Index (VGTSX): To build a complete portfolio of long-term investments, most investors will include international stock funds and VGTSX is one of the best Vanguard funds to do this. VGTSX tracks an index that includes over 6,000 non-U.S. stocks and includes both developed markets (i.e., Europe and Japan), and emerging markets (i.e., China, India, and Brazil). So, for a low expense ratio of just 0.18 percent, shareholders can gain exposure to the entire stock market outside the U.S. The minimum initial investment is $3,000. 5. Vanguard Growth Index (VIGRX): Investors willing to take more risk for the chance of getting higher returns than the broad market indices, such as the S&P 500, can take a look at VIGRX. This index fund holds large-cap growth stocks, which have historically outperformed the S&P 500, especially for periods of 10 years or more. Expenses for VIGRX are 0.18 percent, and the minimum initial investment is $3,000. 6. Vanguard Balanced Index (VBINX): Vanguard has a small but outstanding selection of balanced funds, which are mutual funds or ETFs that invest in a combination of stocks and bonds. VBINX has a moderate (medium risk) allocation of about 60 percent stocks and 40 percent bonds. The stock portion invests in a total stock index, and the bond portion invests in a total bond index. The expenses are 0.19 percent, and the minimum initial investment is $3,000. 7. Vanguard Wellesley Income (VWINX): Another balanced fund from Vanguard, VWINX holds a conservative (low risk) allocation of approximately 40 percent stocks and 60 percent bonds. VWINX can be appropriate for long-term investors who have relatively low tolerance for risk or retired investors looking for a combination of income and growth. Expenses for VWINX (0.22 percent) are extremely low for an actively-managed fund. The minimum initial investment is $3,000. 8. Vanguard STAR (VGSTX): You may have noticed that many funds have minimums of $3,000 to start investing. However, VGSTX has a lower minimum of $1,000. It also is what's known as a fund of funds, which means it invests in other mutual funds, all in one fund option. The STAR fund invests in a diversified mix of 11 Vanguard funds, making it a solid standalone option for beginning investors or those wanting a single fund solution for investing. 9. Vanguard Mid-Cap Index (VIMSX): Small- and mid-cap stocks have historically outperformed large-cap stocks in the long run, but mid-cap stocks can be the wiser choice of the three. Mid-cap funds like Vanguard's VIMSX have beaten both the small-cap index and large-cap index funds for long-term returns, especially 10- and 15-year annualized returns. Although mid-cap stocks generally have higher market risk than large-cap stocks, they typically have lower risk than small caps. Therefore, investors often consider mid-caps the sweet spot of investing because of their returns in relation to risk. VIMSX has a low expense ratio of 0.18 percent, and the minimum initial investment is $3,000. 10. Vanguard Target Retirement Funds: There are several Vanguard Target Retirement Funds to choose from, and some investors are wise to consider this unique investment type. 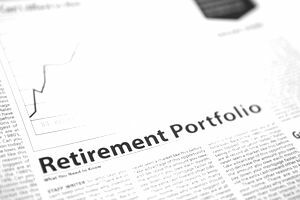 As the name suggests, target retirement funds have an investment strategy geared for the target retirement year specific to the fund. For example, Vanguard Target Retirement 2040 (VFORX) has an asset allocation of approximately 85 percent stocks and 15 percent bonds, which is appropriate for an investor retiring near the year 2040.